Located on the hilltop along National Road between Edgwood and Elm Grove, overlooking Greenwood Cemetery, Howard Place was the originally the home of J. A. Howard. The mansion, designed by Wheeling architect Frederick Faris, was built between 1903 and 1906. ▶ More history coming soon. 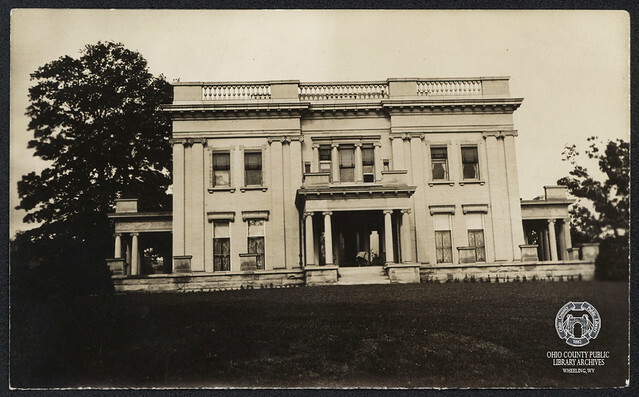 ▶ Archives: Alma Hickman collection of Howard Place photographs, circa 1910, OCPL Archives, non-circulating, viewing by appointment only, call 304-232-0244.